The first question that appeared in my mind as well as, am sure, others' mind too, is why will you want a petrol Innova? Toyota says that it has seen the buyers shifting from diesel to petrol in almost all segments. Thus the need for a petrol Innova Crysta. It looks exactly similar to its diesel-powered sibling, save for the 2.7 Z badge at the rear. 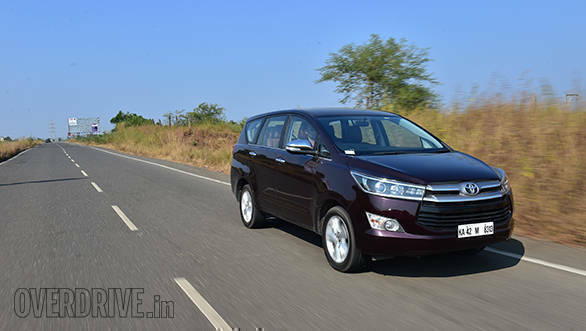 Read on to find out if the petrol-powered Innova Crysta is worth a dekko. The 166PS/245Nm 2.7-litre naturally aspirated cast-iron block with an aluminium head engine, while new for the Indian market, has been around for quite some time. In fact, one can trace its roots back to the TR family from the '90s. 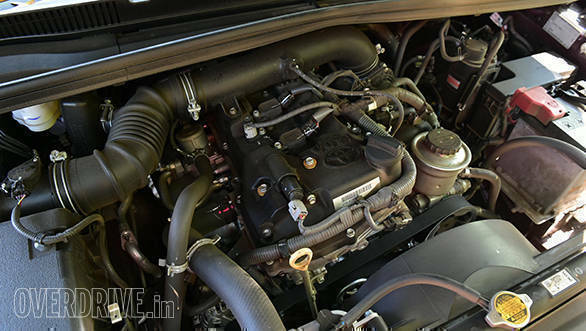 This engine powers the Fortuner as well as Hilux pick-ups in addition to the Innova Crysta. Over the years, Toyota engineers have managed to eke out better efficiency from it, add dual variable valve timing as well as improve the refinement. Speaking of which, at start-up, the engine isn't the most refined unit around. However, once warmed up, she settles down quite a bit. Similar to the engine, the 6-speed torque converter is also an old unit and isn't the smoothest one around. 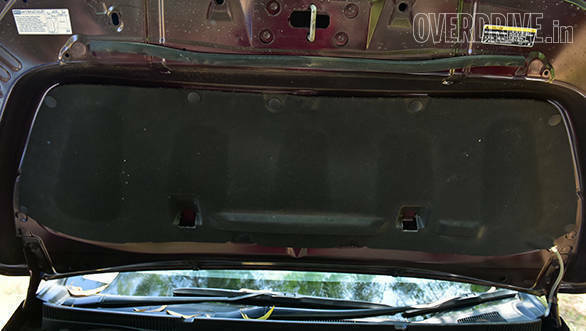 While 166PS for an MPV may seem like an overkill, it isn't in this case. The Toyota Innova Crysta petrol uses all that power to good effect to start moving. This in spite of being a slow-revving unit (redlines at 6,000rpm). 0-100kmph comes up in 11.2s, which is quick for an MPV. There are also Eco, Normal and Power modes in the petrol Crysta, similar to the diesel unit. When you start the car, it starts in the Normal mode. Eco mode dulls down the throttle response as well as eases the air conditioning and quickly shifts to higher gears to help the engine run at a relaxed speed. The instrument cluster has a special screen mode for the Eco setting, and it gives you ratings on how you're driving and how much fuel you've saved. Neat! Power mode, meanwhile, ensures that the gears hold on to higher revs before shifting  ideal for quick overtaking manoeuvres. Fuel efficiency is decent for such a big engine  9.9kmpl in the city and 11.8kmpl on the highway. 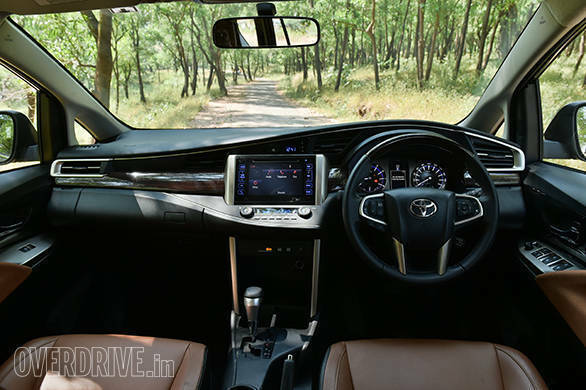 There is no difference in the underpinnings of the petrol and diesel Innova Crysta. 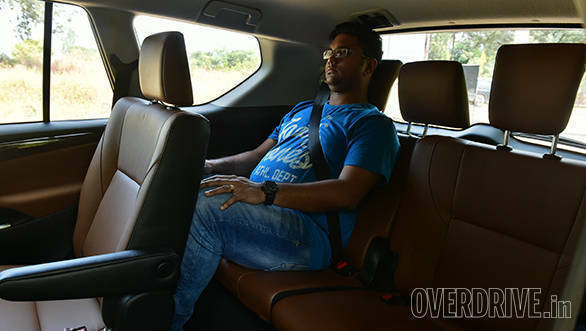 The Toyota Innova Crysta petrol, like the diesel, does get unsettled over potholes and sharp bumps; however, the shocks aren't transferred to the occupants. In fact, this unsettling behavior can be observed only when the car is relatively empty. Load her up and typical of ladder frame chassis cars, the bumps and potholes are absorbed in a much better fashion. There is some amount of body roll around corners but not as pronounced as some other MPVs in the market now. In the city, you do feel the car's 4,735mm length and also during parking. Parking reminds me that the steering could have been a tad lighter at city speeds. NVH levels are just about okay and there definitely is a scope for improvement. Build quality, as expected, is top notch and the layout of the cabin as well as materials used is hard to fault. 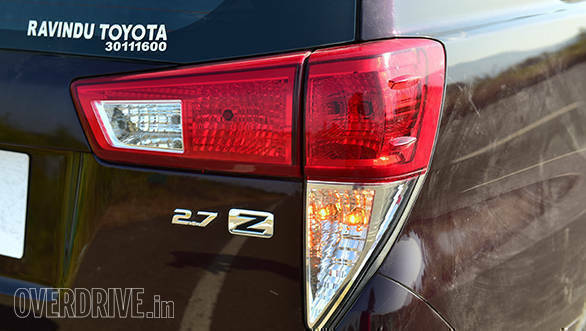 Toyota is selling the petrol Innova Crysta in six trims  three automatic and three manual. The ZX trim you see here is sold only in the 7-seater automatic guise. It differs from its other trim options with respect to auto LED projector headlamps, welcome lights, electrically adjustable and retractable ORVMs. Inside, the upholstery is done in silver and hazel brown (lower trims get black), TFT multi information display, shift position indicator as well as phone and audio display. The seats (electrically adjustable for the driver) themselves are comfortable in all the rows, save for the last. Last row space has improved from the previous-generation Innova but putting in grown-ups there for prolonged periods will be an overkill. 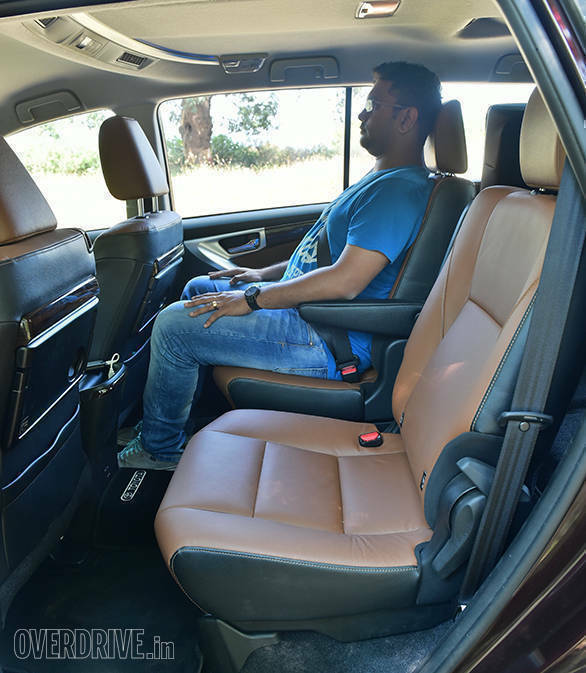 All the passengers get 3-point seat belts, and the ZX trim also comes with seven airbags along with ABS, EBD, vehicle stability control as well as hill start assist control. Rs 14.43 lakh is the asking price for the base 7-seater petrol and Rs 20.93 lakh for the car you see here. The 2.4-litre diesel is only Rs 40,000 more than the base petrol while the 2.8 is Rs 2.5 lakh more, all prices ex-Mumbai. At this price and given the high running costs associated with the petrol Innova we recommend that unless you live in a state where the government rules change as quickly as the quality of the air, go for the diesel. That is unless you will be doing less than 4,000km in a year.